Shruti is part of the Transformative Advisory team in Delhi, leading delivery for clients in the education sector, for bringing systemic transformation at scale through process standardisation, technology and capability development. 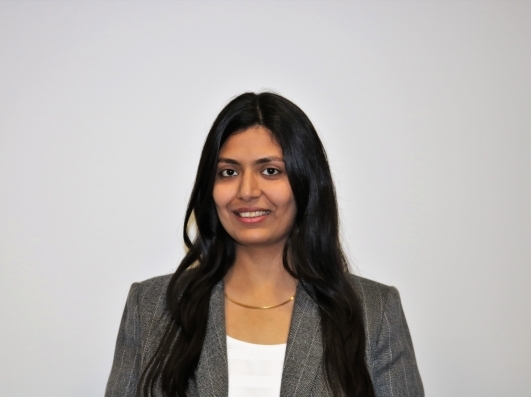 She has over 8+ years of experience in various roles across industries – as a management consultant in KPMG Advisory, creating solutions and supporting implementation for large scale business transformation projects in India, South Africa, Uganda and UAE, as a Chartered Accountant, handling market research for investments with Franklin Templeton, as well as a stint with the Investment Management Division of Goldman Sachs. At Sattva she has worked on key projects of Sattva Knowledge in the impact investment and education landscape across Asia, and on issues of education and gender equality. Shruti has a Bachelors in Commerce from Mumbai University, is a Chartered Accountant and is a graduate of IIM Kozhikode.